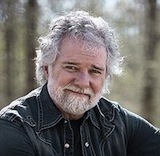 Chuck Leavell’s piano and keyboard has been heard alongside Eric Clapton, The Rolling Stones, George Harrison, The Allman Brothers Band, Blues Traveler, Martina McBride, John Mayer, and many other prominent artists. He has also authored four books, most recently Growing a Better America (Mercer, 2011), which explores smart growth. A conservationist, sustainable development advocate, and tech entrepreneur, Leavell and his wife live on their award-winning tree farm, Charlane Plantation, in Bullard, Georgia.